Entering a Carnival Stall within the grounds of Carshalton Park means you will be located at the centre of the vibrant Carnival Village. The atmosphere, the fund-raising and the potential to raise the profile of your organisation is fantastic. Together with the Carnival Arena acts, sideshows and the Funfair, a great family day out is created. 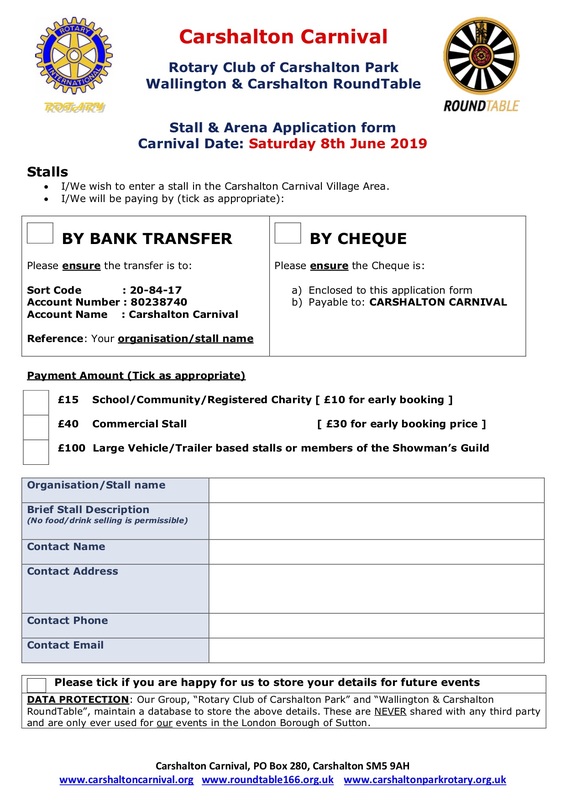 Due to strict health and safety regulations and as there are professional food concessions that have paid to be at the Carnival, we regret that food, ice cream and drinks cannot be sold by stall holders. Take advantage of our early booking discount. If your stall is booked by Friday 10th May, a charity stall will only cost £10 and a commercial stall will be £30. Just complete and return an application form with your remittance as soon as possible, in order to ensure that your allocation is successful. We’ll then get in touch with you nearer the event, provide you with details of the day and answer any questions you may have. 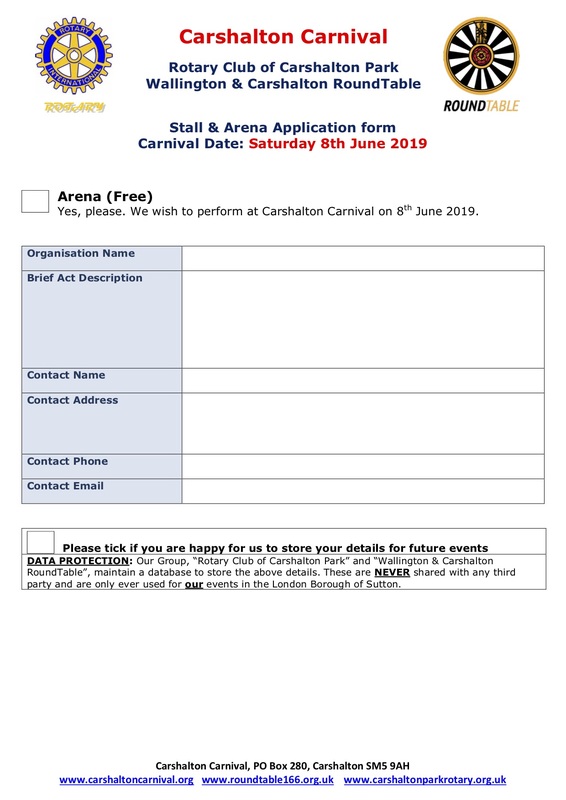 Enter your school, community or charity group to perform at Carshalton Carnival. As the event is now free entrance to the public, larger crowds are to be expected, giving your group more exposure. Just complete and return an application form as soon as possible, in order to ensure that your allocation is successful. We’ll then get in touch with you. and The Rotary Club of Carshalton Park.